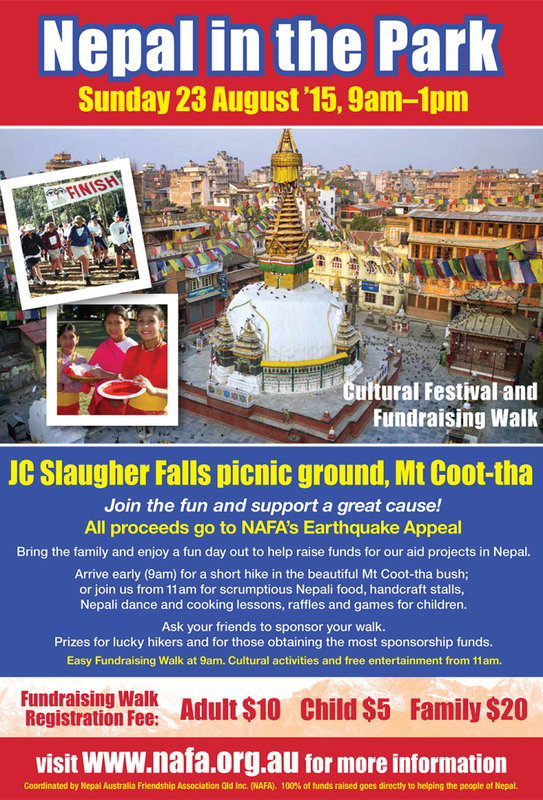 NAFA is hoping for a great turn out at this year’s cultural festival Nepal in the Park. So please add it to your calendar and pass this invitation on to your family, friends and work colleagues. Please ask your friends to sponsor your walk. Prizes will be awarded to those who raise the most sponsorship money for doing the fundraising walk. All those who register for the fundraising walk will be in the running for random prizes. 100% of funds raised go to the earthquake rebuilding fund.